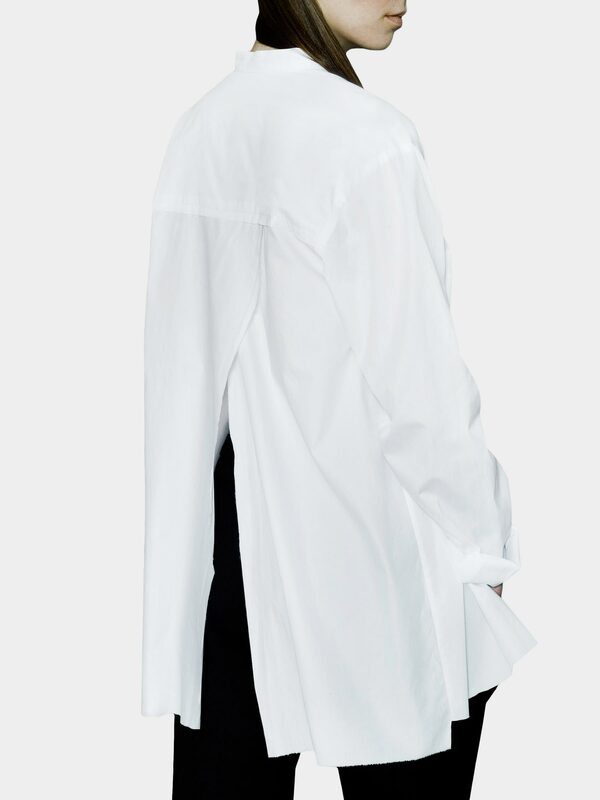 Joanna Organisciak No.15 shirt redefines the classic white shirt with an elegantly prolonged silhouette and split back. Made of highest quality Piumino cotton the shirt has a very delicate and silky feel. 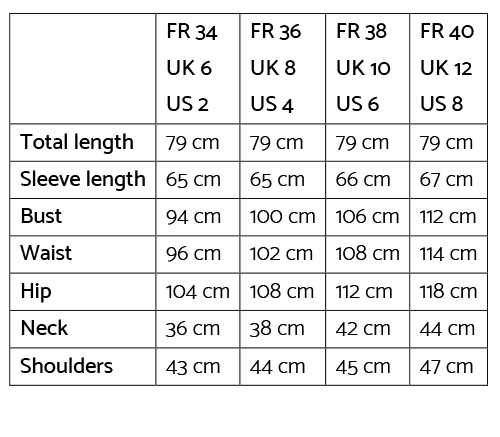 Finishing touches include a raw cut except at the sleeves, dual-layer and asymmetric collar.